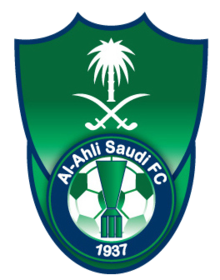 Al-Ahli Saudi FC has not submitted any formation. 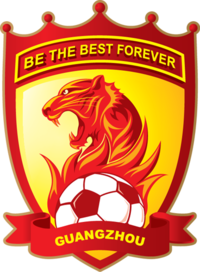 Guangzhou Evergrande has not submitted any formation. Omar Sulaimani runs towards his opponent and wins the tackling! Guo Chai passes the ball... and the ball is out. Cross by Abdullah Ali... into the clouds! Guo Chai tries to pass the ball to the strikers... but misses! Abdullah Ali passes the ball... and the ball is out. Cross by Zhang Luan... into the clouds! Zhu Han tries to pass the ball to the strikers... but misses! Omar Sulaimani passes the ball towards the centre... but the opponent catches it. Guo Chai runs towards his opponent and wins the tackling! Omar Sulaimani shoots... but the goalkeeper can turn the ball around the goalpost. Lionel Tenorio shoots... but the goalkeeper can turn the ball around the goalpost. Majed Al-Zayani passes the ball... and the ball is out. Lionel Tenorio shoots... but the goalkeeper dives to get the ball. Naif Al-Obaid passes the ball towards the centre... but the opponent catches it. Song Kang passes the ball towards the centre... but the opponent catches it. Lionel Tenorio shoots... but the goalkeeper can somehow catch it. Omar Al-Owairan in a tackling... and looses it! Chen Pi lets taken away the ball. Majed Al-Zayani has the ball and sees his opponent in front of him... and looses the tackling. Song Kang has the ball and sees his opponent in front of him... and looses the tackling. Chen Pi has the ball and sees his opponent in front of him... but he can win the tackling. Cross by Jiang Gongliang... into the clouds! Abdullah Ali runs towards Zhang Luan... and looses the ball. Omar Sulaimani shoots... into the sky. Cross by Zhu Han... into the clouds! Tooor fur Al-Ahli Saudi FC! Stone Thomas legt auf Omar Al-Owairan ab, der nur noch einschieben muss. Cross by Lionel Tenorio... into the clouds! Stone Thomas has the ball and sees his opponent in front of him... but he can win the tackling. Cross by Stone Thomas... into the clouds! GOAL - what a trick by Guo Chai! Chen Pi tritt den direkten Freistoß und trifft! Abdullah Ali is shown the yellow card. Zhang Luan runs towards his opponent and wins the tackling! Abdullah Ali in a tackling... and looses it! Header by Salman Al-Jebreen... but missed. Song Kang passes the ball... and the ball is out. Abdullah Ali passes the ball towards the centre... but the opponent catches it. Lionel Tenorio tries to pass the ball to the strikers... but misses! Jiang Gongliang shoots towards the goal... but into the arms of the goalkeeper! Jiang Gongliang shoots... but the goalkeeper can turn the ball around the goalpost. Omar Sulaimani tries to pass the ball to the strikers... but misses! Jiang Gongliang shoots... but the goalkeeper can somehow catch it. Salman Al-Jebreen passes the ball... and the ball is out. Salman Al-Jebreen runs towards his opponent and wins the tackling! Song Kang steals his opponent's ball in a tackling. Majed Al-Zayani in a tackling... and looses it! Header by Jiang Gongliang... that was close. Cross by Salman Al-Jebreen... into the clouds! Song Kang tries to pass the ball to the strikers... but misses! Sun Gongliang in a tackling... and wins it! Omar Al-Owairan shoots towards the goal... but into the arms of the goalkeeper! Salman Al-Jebreen shoots... but the goalkeeper can turn the ball around the goalpost.